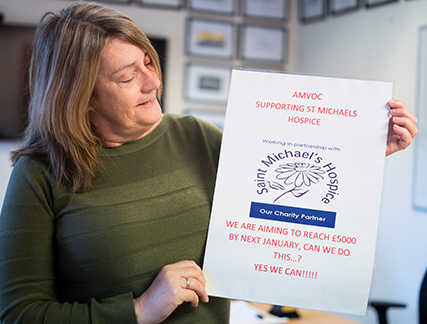 Janet has been very busy working with other key Amvoc employees devising a series of fundraising events throughout the year. We believe we will smash this £5,000 target! 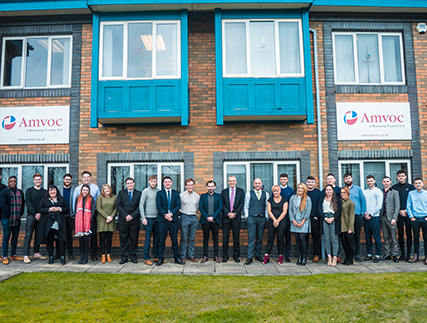 Senior B2B account manager Guy Andrews leads the Amvoc dry January team. 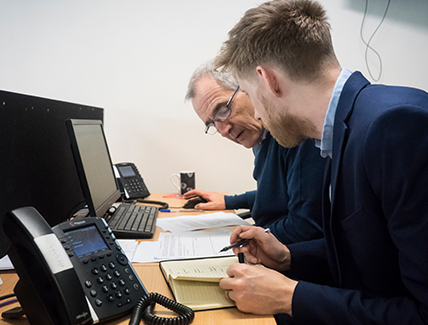 With more than 20 staff actively fighting the excesses of Xmas and the new year – most of our staff are sponsoring them to try and reach their end of January milestone and raise more than £600 for our selected charity partner this year. There was one sceptical voice, however. Officially the busiest December we have seen. With less than a week to go before Xmas we were delighted to see more than 150 staff still generating leads, booking appointments and still selling both business to business and business to consumer. Our advertising telesales team produced a record £1.2 million for one of our existing partners. Our legal telemarketing division produced more than 200 business to business appointments. The training services team booked 170 qualified business to business appointments. Our conference telesales team sold more than $180,000 delegate spaces. 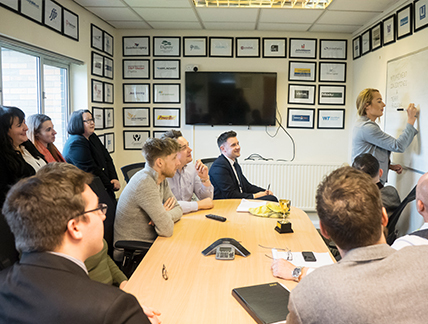 The fork lift truck telemarketing team smashed all prior records with 150 business to business meetings set. “I still get excited about arriving every morning. The team just love the pool and table tennis tables, plus dartboard, dining room and relaxation area. The new offices allow us to house another 65 personnel alongside the existing 45 staff members already enjoying life in Leeds. Fantastic new 60 inch plasma TV. Lucinda has worked for Amvoc for nearly 3 years. 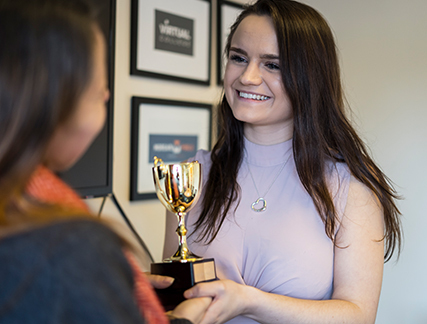 Initially working in our inbound business to consumer telemarketing division she quickly won many plaudits and started rising the ranks within the company. Within 12 months she had begun training as a junior team leader running several new projects including solar energy, battery storage, gas and electricity. The results were so impressive we immediately appointed her as an outbound business to consumer telemarketing team leader.